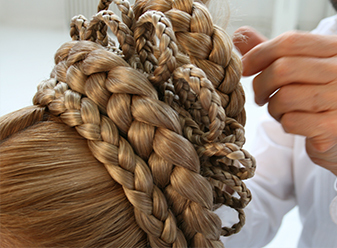 The trends of braided hairstyles according to Maison Alexandre de Paris. 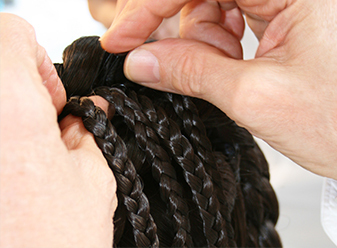 You will learn to make different braids and hairstyles that are easy to wear and accessorize, whether for everyday use or for a special occasion. You will realize quick fasteners to gain confidence in the control of long hair without backcombing or smoothing. But also, you will study more demanding constructions to create trendy but elaborate chignons. At the end of this internship you will be able to diversify your offer and propose varied styles, always elegant, and adapted to a clientele sensitive to the tendencies.